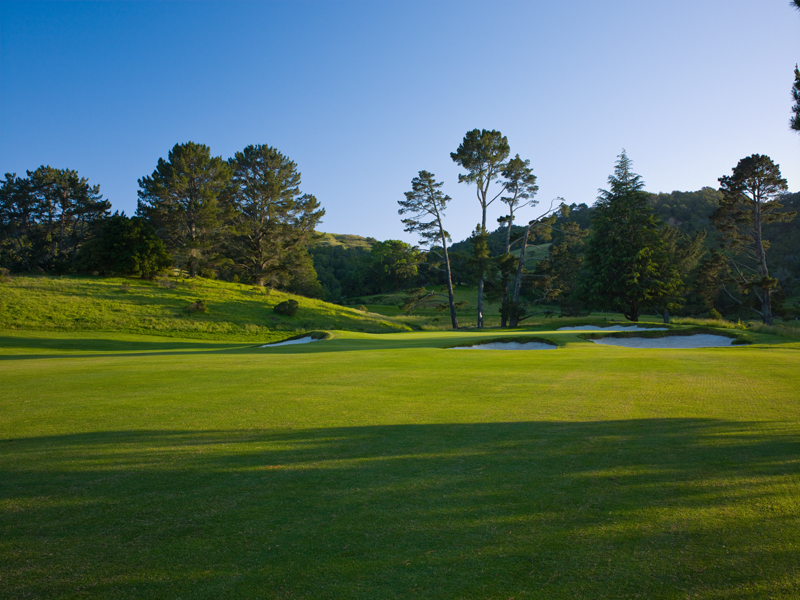 Meadow Club is a remarkable golf course, set in a high mountain meadow only 30 minutes north of the Golden Gate Bridge with no housing visible from the golf course. When the sun sets behind the mountains, the only light you can see is on the porch of the clubhouse. 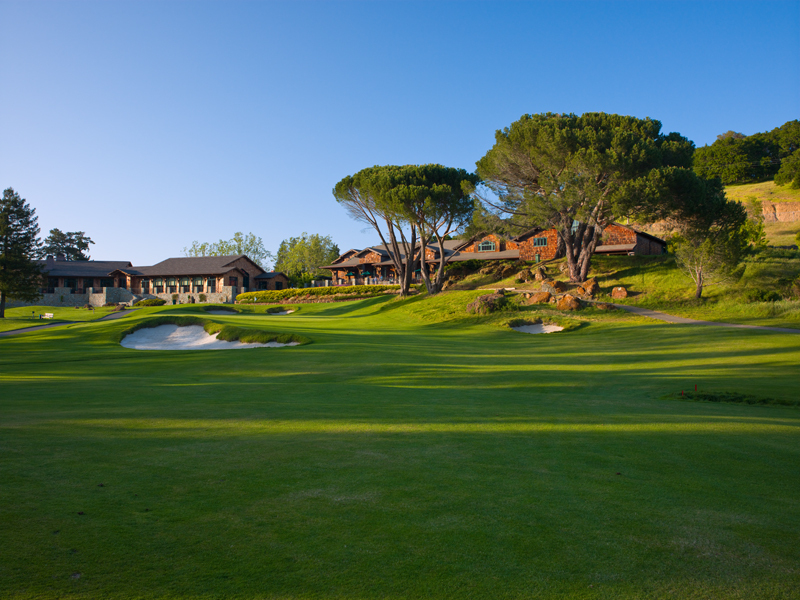 The private membership relishes their location and the relaxed atmosphere of the club is evident upon first entering the property. 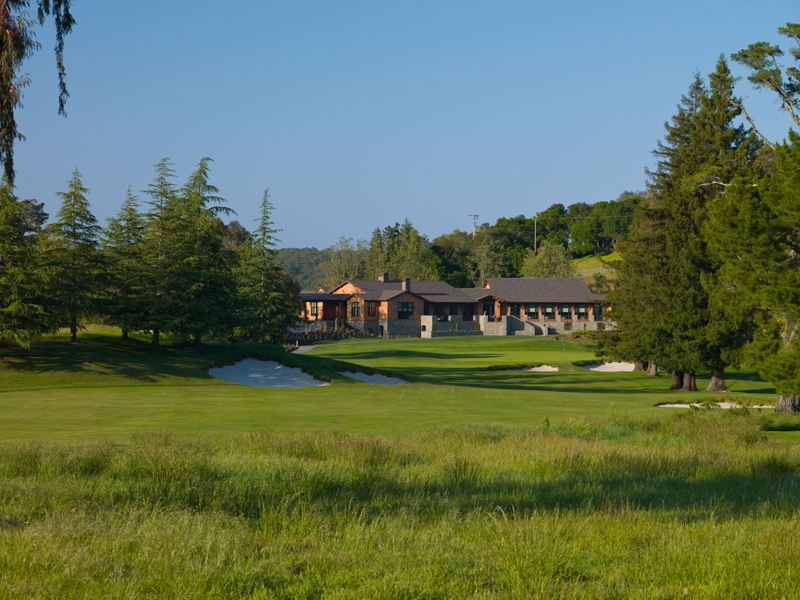 The club is very dedicated to maintaining the unique qualities of their course and that is noticed in the detailed historical displays in the newly renovated clubhouse. Alister MacKenzie took an open landscape with a small creek running through some of it and developed a 1927 American version of the Old Course at St. Andrews. 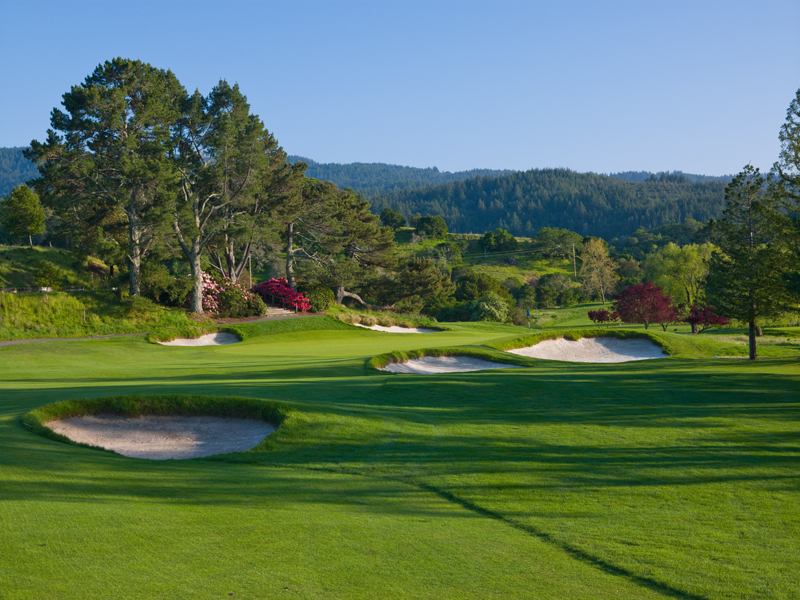 Upon opening, the course was a treeless landscape with multiple routes available to the golfer to find their preferred angle of attack while avoiding bunkers and the Bon Tempe stream. Greens were large and undulating, rewarding precise approach play and creative putting. The Depression and World War II caused the course to change almost instantly, with the greens shrinking to a fraction of their 7000-10,000 square foot sizes and removing many hazards from their intended purpose. The course remained untouched and unaltered, with the exception of tree planting and a member-directed rebuilding of the 3rd green. 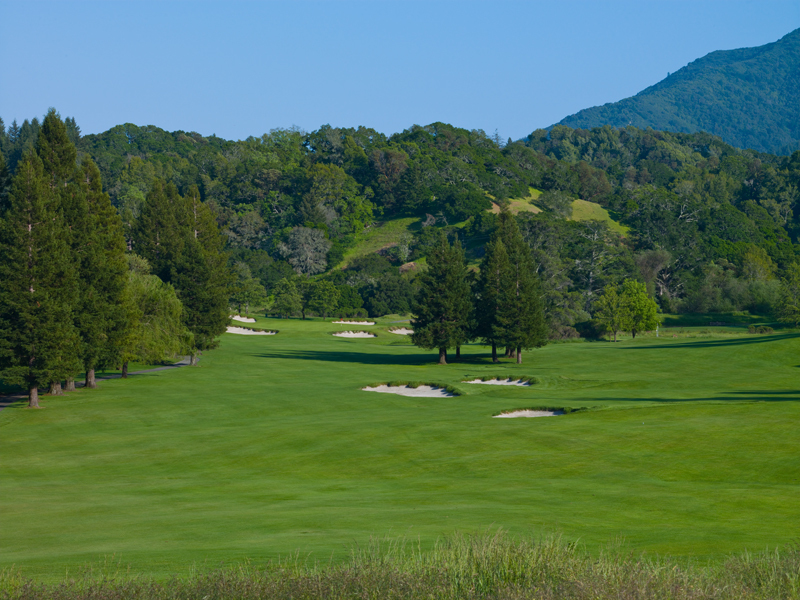 The trees (primarily redwoods and Monterey pines) grew and changed the strategy of the golf course to tight, tree-lined fairways without many of the originally intended options for play. 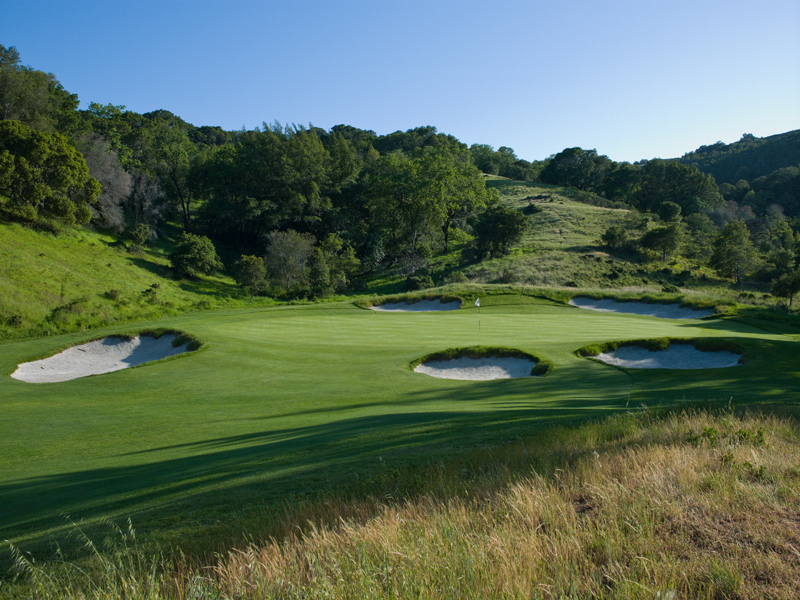 In 1999, DeVries Designs was commissioned to oversee a restoration of the course to MacKenzie’s specifications. The result is a precise return of the greens to their original dimensions and bunkers to their original style and locations. 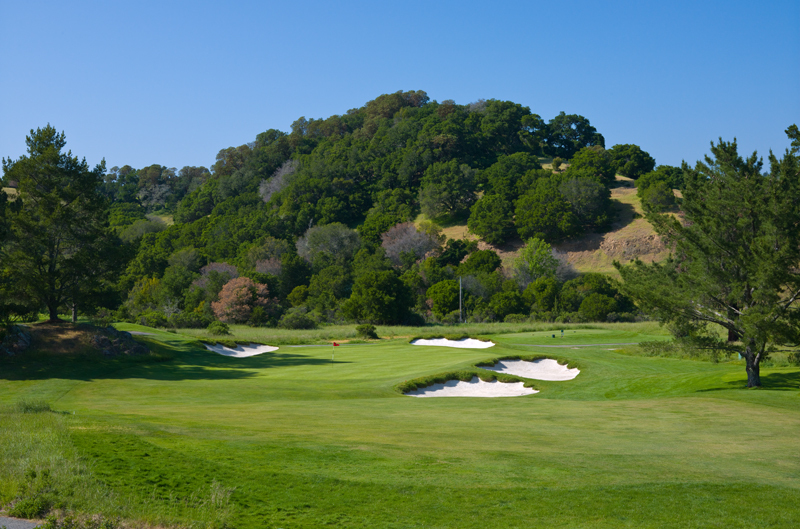 Tree management is a continuing program to restore vistas and playing strategies while retaining the picturesque qualities of maturing specimens that don’t affect the turf quality. 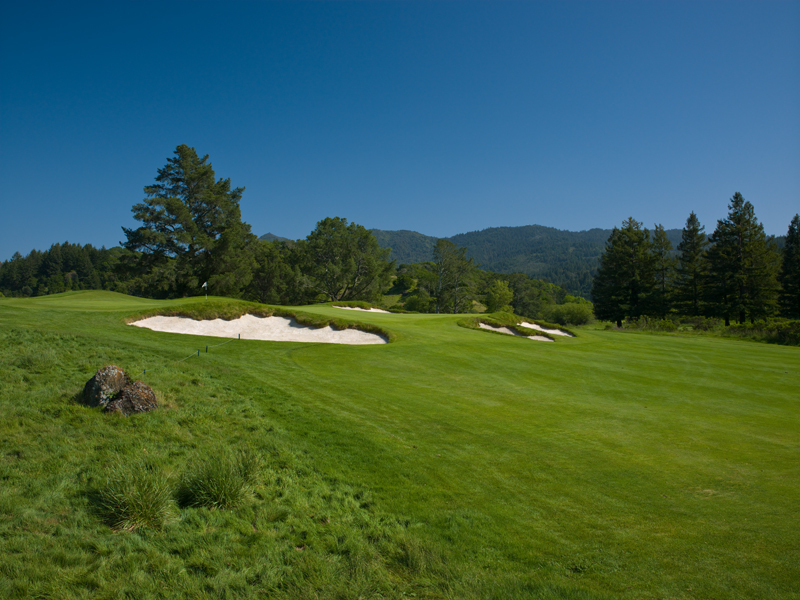 Meadow Club is one of the finest member courses in the country and a delight to play every day. It also challenges today’s better players each fall in the Alister MacKenzie Invitational, a premier collegiate tournament hosted there by the University of California. The green complexes continue to confound the modern day big hitters with their diversity and quality, a true testament to the genius of Alister MacKenzie.